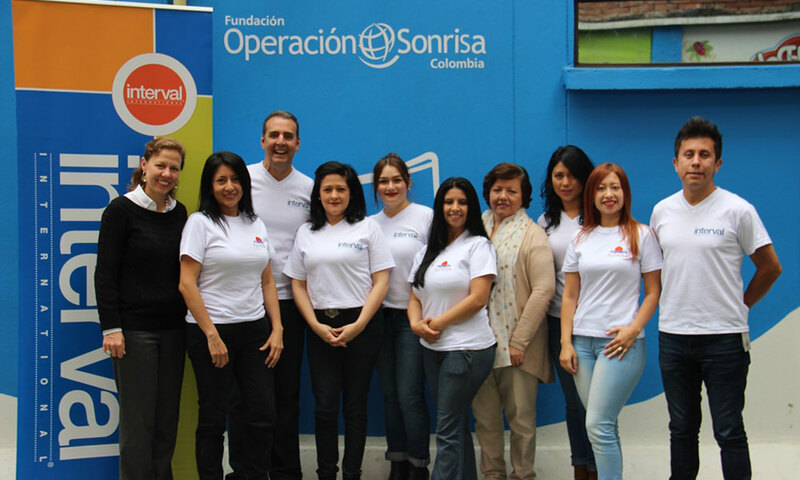 Nearly 30 Interval International and Zuana Beach Resort Bogotá-based employees recently participated in “Smile Exchange,” an event designed to lift the spirits of children undergoing treatment at the Operation Smile multidisciplinary care center in Colombia’s capital city. The volunteers from Interval and Zuana treated the children to breakfast throughout the week and engaged them in a variety of activities, including arts and crafts. Families also received donations of school supply and dental-hygiene kits. The volunteer network in Colombia includes more than 260 medical and non-medical professionals, who care for children in different regions through its various programs. For over 20 years, Operation Smile has provided surgical care to more than 20,500 patients with cleft lip and cleft palate, and has offered approximately 180,000 consultations in different specialties. The non-profit organization’s multidisciplinary care centers in Duitama and Bogotá offer year-round comprehensive care services, including surgeries; dental and orthodontic care; speech therapy; genetic, nutrition, and psychological assessments; and social work consultations.